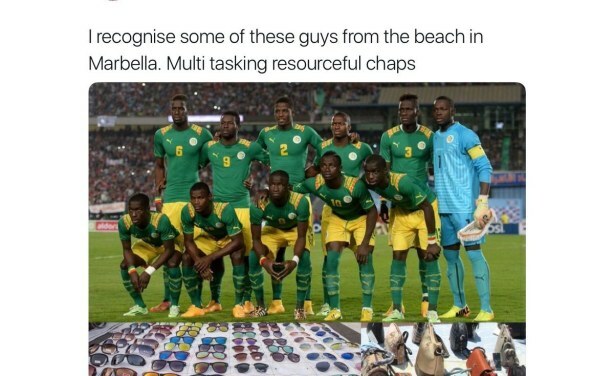 British billionaire Lord Sugar - who appears on The Apprentice - has been criticised for a tweet comparing Senegal's World Cup team to sellers on the "beach in Marbella", the BBC reports. A picture of the team was posted next to pictures of sunglasses and handbags, presumably the sorts of things sold at the Spanish resort. Lord Sugar, 71, later deleted the post and apologised, saying "my attempt at humour has backfired". The tweet prompted hundreds of critical responses, including from Twitter users accusing him of racism. Earlier the former Tottenham chairman had said his "funny tweet" had been interpreted in the wrong way. He added: "Frankly I can't see that, I think it's funny. But I will pull it down if you insist." Lord Sugar's now deleted tweet. 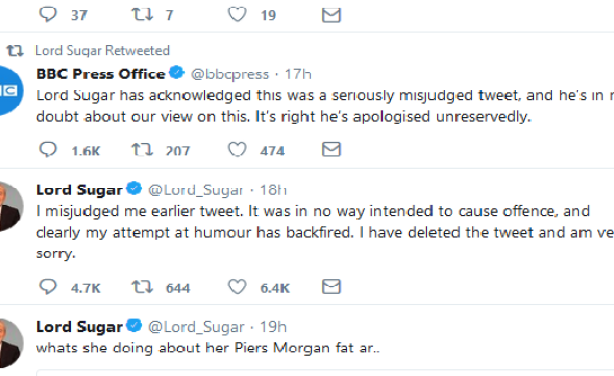 Lord Sugar's apology on Twitter. 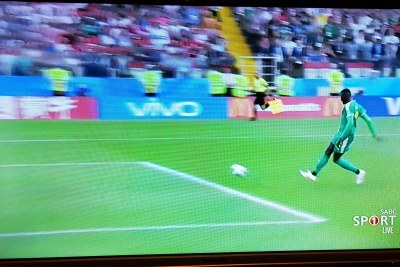 Senegal Cleans Up After the Match Too! 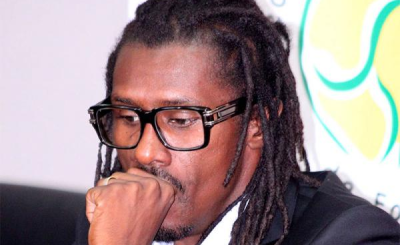 Lions of Teranga Ready to Bare Fangs Against Poland? How Far Will Africa Go in the 2018 World Cup? How Will African Teams Perform At 2018 FIFA World Cup?